THE "I WOKE UP 5 MINUTES AGO AND NOW I'M GETTING READY ON A TRAIN." We've all been there - your eyes slowly drifting open to a blaring alarm (if you even remembered to set one), and for some reason you've slept through and now you're late for work/college/an important event. I, for one, am used to these mornings. They're a common occurrence. But behold - this is my *tried and tested* super-speed-machine make up routine. I try to grab a 'make me look like I went for a run already this morning' glowy foundation, medium coverage. Example: the Bourjois Healthy Mix Foundation. It's so easy to blend, buildable, and helps my skin to look fresh and awake. 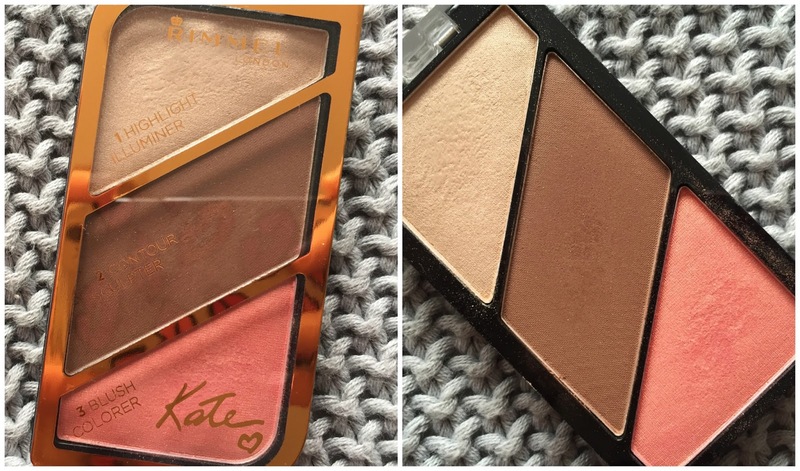 To add to that glow, I use the No7 Instant Radiance Highlighter to my cheekbones, nose and cupid's bow. In a day where I'm really rushing, this is my only highlighter; normally I add some powder highlighter too. To conceal, another drugstore favourite - Collection Lasting Perfection Concealer. I use the fairest shade (it's called 1 Fair, funnily enough) to brighten up under my eyes, or to actually conceal my blemishes if I'm not wearing any fake tan. I then add a bit of powder to mattify (Rimmel London Stay Matte Powder in Transparent - a classic), because otherwise my make up will just slide down my face gradually throughout the day. Finally, I'm in love with The Balm Bahama Mama Bronzer. It's great for contouring; it's not warm toned, it's a cool toned matte, so there's no risk of orange streaks. It's really pigmented too, and easily blendable. Personally I love contouring, but this is also a great product for if you have no time or patience for contouring. I live for cream eyeshadows. Not literally, but they've certainly saved me some time (collectively) over the years. One of my favourites is the Maybelline Eyeshadow Colour Tattoo in On And On Bronze. This creamy, shimmery and pigmented bronze makes you look like you spent longer than 30 seconds frantically blending some product over your eyelid. For mascara, The Balm What's Your Type? is a lengthening mascara, but you also get some good volume too. Even if you don't feel like you're ready to face the day, at least you look the part (and like you've had a cup of coffee). I've been using my Soap & Glory Brow Archery Brow Tint and Pencil every day for months now. I use the pen to underline the shape of my brows, and then I use the pencil to fill them in. When I'm in a rush and I only have an eyebrow pencil or a brow pomade, then I find that I struggle to line and fill them with the one product - with the Soap & Glory product you get a 2-for-1 deal. I then go over my brows with the Benefit Gimme Brow Tint. It's a great product because you can individually comb through your brows, tinting them whilst setting them in place. The product doesn't feel thick, it's not overly pigmented - it's a really natural 'less is more' product. I use it to tint my inner brow hairs, so they look more natural and blend with the rest of my brows. No block eyebrows, no drama.